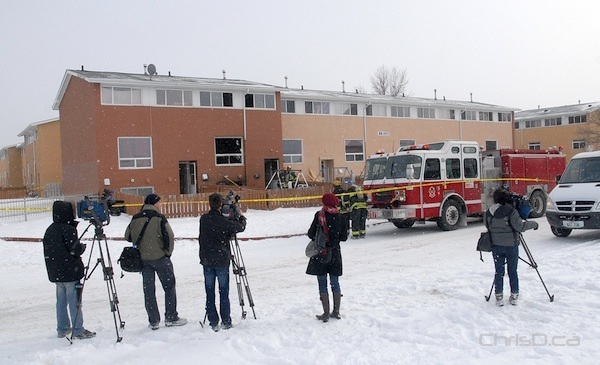 WINNIPEG — As many as eight people were sent to hospital after a fire erupted in a northwest Winnipeg townhouse on Friday. The fire 89 Chudley Street began just before 2 p.m. Firefighters were focusing their efforts on two suites inside the building, which reports said had flames shooting out of the windows. The residents taken to hospital were being treated for smoke inhalation. Several more people were evacuated from neighbouring suites. No word yet on a damage estimate or what caused the fire.